Rotary Tapered Connections use threads that are tapered. The rolls and roll pins on a Cold Rolling tool are tipped slightly to minimize side forces on the rolls and tool components as they travel up that taper. Because the form on a standard API roll is not symmetric, assembly orientation is critical. 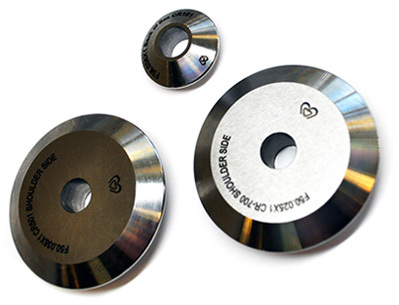 CJWinter manufactures a variety of Pin and Box cold roll wheels for both standard and proprietary connections. When placing an order, we need to know the connection you are cold rolling, and CJWinter will supply you with the correct wheel. If you happen to know the CR number, as an example CR100, that will be all we need to fill your order.